The remains of a 13th Dynasty pyramid have been discovered by an Egyptian archaeological mission working in an area to the north of King Snefru's Bent Pyramid in the Dahshur Necropolis. 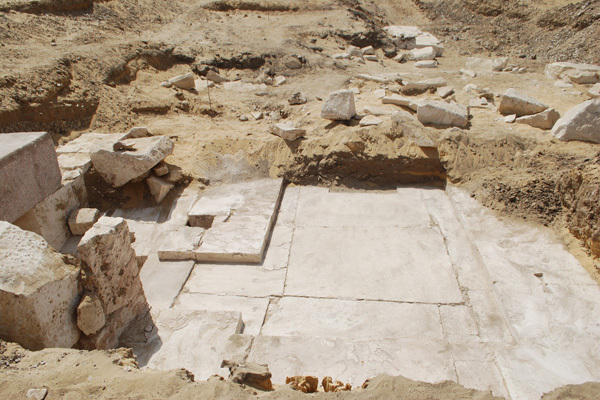 Mahmoud Afifi, the head of the ancient Egyptian antiquities sector at the antiquities ministry, announced the find, adding that the remains are in a very good condition and further excavation will take place to reveal more of the structure. 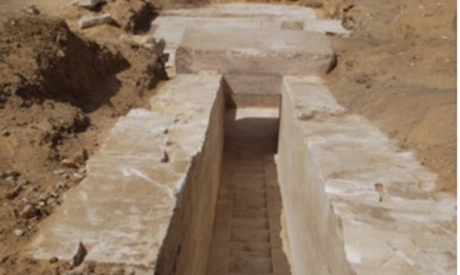 Adel Okasha, director general of the Dahshur Necropolis, explained that the portion of the pyramid uncovered so far shows a part of its inner structure. 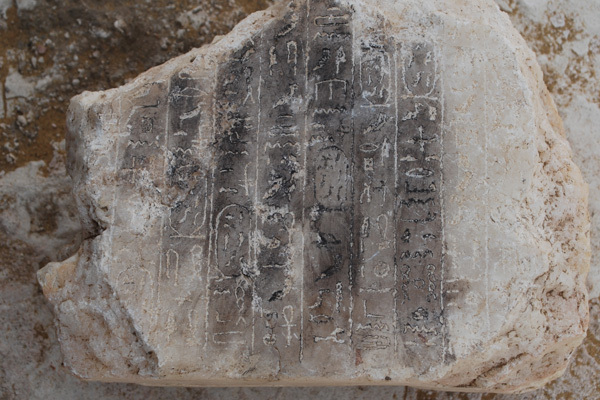 An alabaster block measuring 15 cm by 17 cm was also found in the corridor, engraved with 10 vertical hieroglyphic lines that are still being studied. 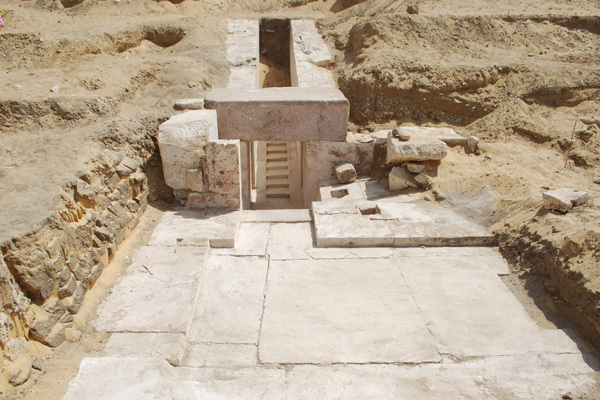 A granite lintel and a collection of stoney blocks showing the interior design of the pyramid have also been uncovered. Further studies will be conducted to identify the owner of the pyramid and the kingdom to which it belongs.